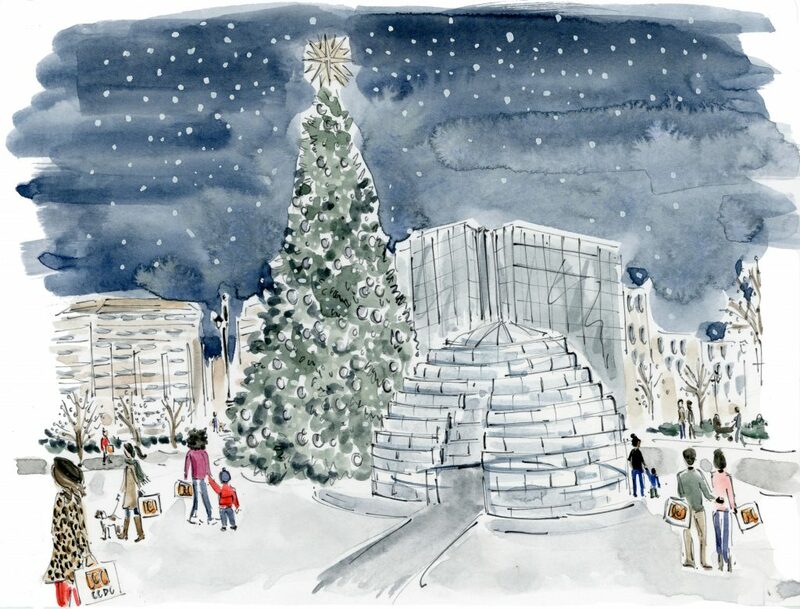 “On December 1 at 4pm, CityCenterDC will open a life-size, modern, ice igloo made of 36,000 pounds of ice blocks in The Park at CityCenter. Styled with plush interiors by Joseph Ireland of JD Ireland Interior Architecture + Design, this one-of-a-kind, frozen structure will allow Washingtonians to fulfill their subzero dreams for a weekend. The Ice Lounge opens on December 1 at 4 p.m. to 8 p.m. and will also be open to the public December 2 and 3 from 10 a.m. to 6 p.m.
CityCenterDC invites you to share your photos of any CityCenterDC Holiday décor on Instagram using hashtag #CCDCHolidays for the chance to win a $350 CityCenterDC gift card. 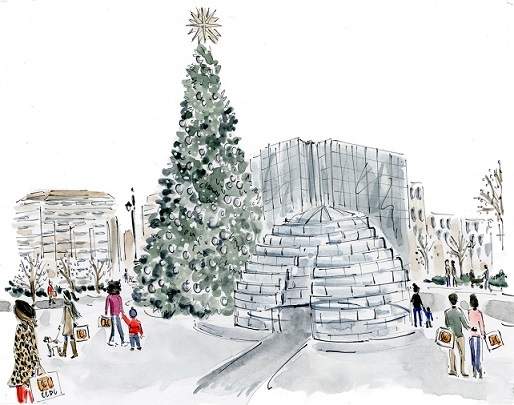 Post a photo of any CityCenterDC Holiday décor using #CCDCHolidays between November 20 and January 31. The winner will be announced on or around February 1 via our CityCenterDC Instagram account.